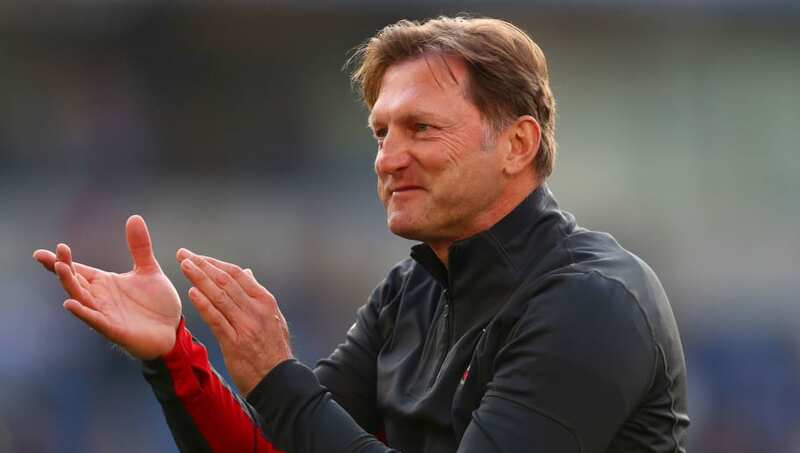 ​Southampton boss Ralph Hasenhüttl will see his side ​face off against title-chasing Liverpool at St Mary's Stadium on Friday night, with the Saints trying to move away from the relegation zone. Here's a look at how the Saints could lineup for ​Friday's clash. Angus Gunn (GK) ​- The 23-year-old has been one of ​Southampton's standout performers under Hasenhüttl and has kept forgotten man Fraser Forster out of the starting lineup. He will need to be on the top of his game if he is to keep a clean sheet against Liverpool's front three. Yan Valery (RB) - The young Frenchman has put in some good displays for Southampton this season and scored a stunner in the defeat against ​Manchester United at Old Trafford. He seems to have flourished under Hasenhüttl and has benefited from the Austrian's style of play. Jan Bednarek (CB) - The Polish international has 18 league appearances so far this season and will be tested on Friday by the pace possessed by Klopp's side. He should look at former Southampton defender and current ​Liverpool man Virgil van Dijk for inspiration on how to deal with the likes of the Reds' attackers. Ryan Bertrand (LB) - The 29-year-old has a wealth of experience at ​Premier League and international level and will have to draw on this to help guide his team to an unlikely victory on Friday. ​Charlie Austin (ST)​ - Despite struggling with injury, Austin has managed 20 league appearances this season and in the absence of fellow Englishman Danny Ings, who can't face his parent club, will get a chance to impress Hasenhüttl at St Mary's Stadium.